We are a friendly amateur mixed choir of about 80 singers from Woking and the surrounding areas. The choir regularly performs in Woking and Guildford, engaging professional orchestras and soloists. 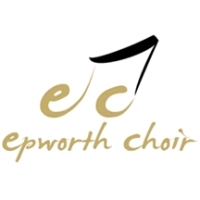 After over 50 years of performing, Epworth has developed the assured reputation as one of Surrey’s leading choirs. The aim of the Epworth Choir is to raise money for local charities, whilst promoting the enjoyment of choral singing as a pleasurable activity, easily accessible to all. I agree to receive occasional (never more than weekly) emails from Epworth Choir containing updates about activities and events held by the choir alongside information and updates about other local community music groups. Epworth Choir presents an evening of beautiful music celebrating many of England’s best-known traditional melodies. 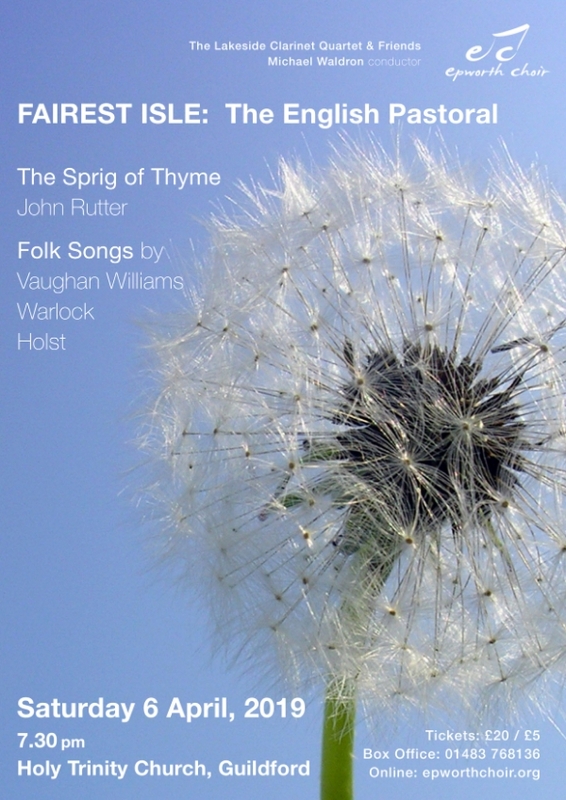 The programme consists of several folk song arrangements including Afton Water, Swansea Town, Yarmouth Fair and Dashing Away with the Smoothing Iron by much-loved composers including Holst, Vaughan Williams and Warlock. The second half culminates with John Rutter’s beautiful suite, ‘The Sprig of Thyme’, which includes arrangements of The Keel Row and Down by the Sally Gardens. 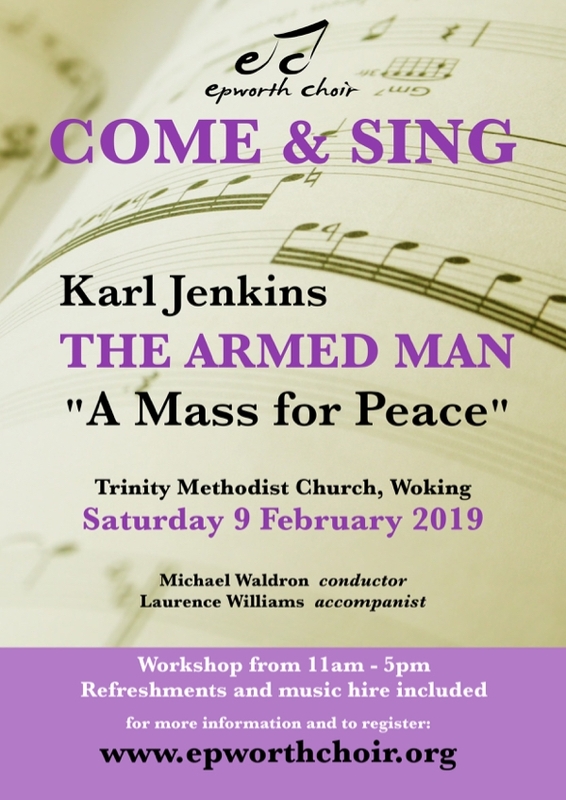 The Choir is delighted to be joined by professional musicians from The Lakeside Clarinet Quartet, who will also be performing instrumental works by more of England’s best-loved composers and arrangers, in the atmospheric surroundings of Holy Trinity Church, Guildford. Get your tickets now for what promises to bean evening of beautiful and uplifting music to herald the beginning of summertime. We will be supporting Cycling Projects, a UK based nationwide charity which promotes cycling and champions the right for people of all ages and abilities to ride a bike. Tickets are £20 for adults and £5 for children and full time students and can be purchased either at our box office 01483 768136 or online using the Register link below. I do hope that you'll be able to join us at what will be a delightful evening of English music. A stimulating day working on this piece, including vocal workshops with professional singers. Open to all, £20 including refreshments and music hire.